18th May 2012, mark this date in your calendar, as the Sprint is now coming up with the launch of its Tri-Fi Hotspot advance technology which they had showcased in CES 2012 and is now all set to commercialize it. Tri-Fi Hotspot is an advance networking technology which supports the 4G LTE, WIMax and also the 3G connectivity. 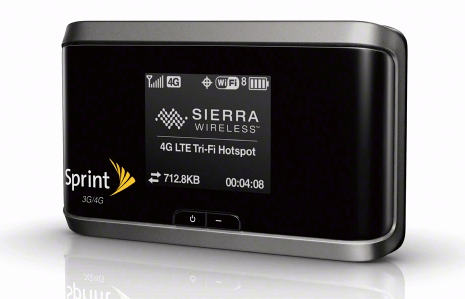 The 4G LTE Tri-Fi Hotspot embedded in this technology is developed by Sierra Wireless and it will support the 3 way data of Sprint network. This device is being priced at USD 149.99, but the good news is that for after the rebate given by the company itself, you can get it in USD 99 for the 2 years service contract. For 3GB of monthly data plan, all you need to pay is just USD 34.99, for 8GB it will be USD 49.99 and for 12 GB you need to bear the cost of USD 79.99. So, get ready to experience the completely new dimension of networking with Sprint Tri-Fi Hotspot.